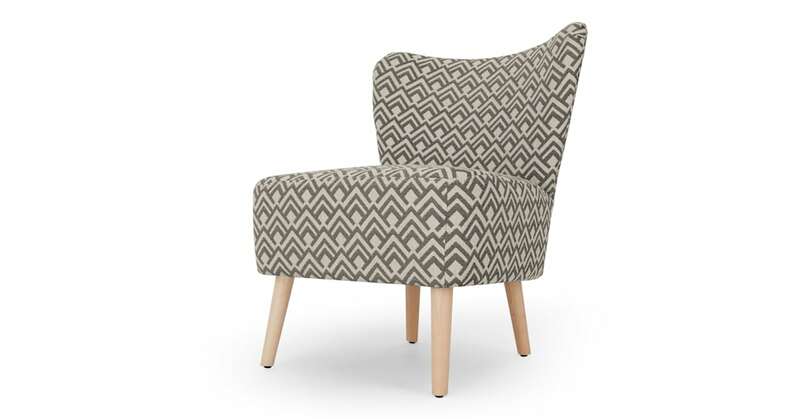 Charley is the mid-sized accent chair that’ll prove its worth. Use it as a classic cocktail chair, a bedroom chair to fling your clothes on, or take a seat while you slip on your shoes. Cute and compact, this chair packs a design punch. Its retro vibes will complete the look of your living space, without the hefty price. Designed by our very own MADE studio. The gently curved back, rounded square block seat and angled oak legs - Charley is irresistible. We love the pattern and of course the size, great for empty corners. It’s perfect.